On Friday afternoon, the Federal Aviation Administration released 582 new reports of incidents involving drones in the national airspace from August 2015 to January 2016. We have conducted a preliminary analysis of these reports to identify the level of potential hazard, altitude, proximity to airports, drone type, aircraft type, and location. Here’s what we found. Drone startup Flirtey conducted the first successful delivery by an autonomous drone in a residential area. The company, which had received permission from the FAA to test the delivery system, carried out the flight in Nevada. 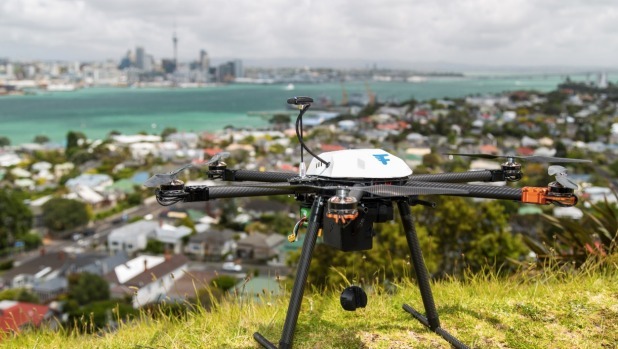 “Conducting the first drone delivery in an urban setting is a major achievement, taking us closer to the day that drones make regular deliveries to your front doorstep,” Flirtey CEO Matt Sweeney said in an interview with the Associated Press. In response to a question from Parliament, Penny Mordaunt, the minister of state for the armed forces, said that the U.K. had carried out 200 drone strikes in Iraq and 13 in Syria between September 2014 and March 15, 2016. According to IHS Jane’s 360, strikes by Royal Air Force Reaper drones account for 29 percent of British strikes in Iraq and 20 percent of those in Syria. The remainder are carried out by manned RAF Tornado and Typhoon fighter jets. The Center for a New American Security released a report on the risks and challenges posed by autonomous weapons. The Government Accountability Office released a report on debates within the U.S. military around the role of the Carrier-Based Aerial Refueling System. At NBC News, Ken Dilanian wonders whether it would be wise for the CIA to use drones to target members of ISIS. At Motherboard, Zoltan Istvan considers whether drones and robots could be protected under the Second Amendment. Also at Motherboard, Jason Koebler attempts to read the FAA’s highly redacted contract for drone detection systems at airports. The Aircraft Owners and Pilots Association released a fact sheet on flying drones within five miles of an airport. At the Daily Beast, David Axe and Patrick Hilsman report that Russia is using Israeli-made drones in its campaign against anti-Assad rebels in Syria. Also at the Daily Beast, David Axe takes a look at the case of Maagad Ben Juwad Oydeh, a 23-year-old Palestinian hacker who, according to Israeli officials, gained access to Israeli drones. At the Rupprecht Law blog, Jonathan Rupprecht writes that the FAA does not require drones that are flown indoors to be registered. At Inverse, Lauren J. Young writes that autonomous cargo ships could help the United States solve some of the challenges it faces in manning commercial vessels. At the Air Force Times, Phillip Swarts examines the Air Force’s struggle to find enough drone pilots. Meanwhile, an Air Force essay by Senior Airman Christian Clausen takes a look at what it means to operate a drone thousand of miles away from the battlefield. At C4ISR, Adam Stone examines how the availability of full motion video intelligence has changed military operations. At the Las Vegas Review-Journal, Keith Rogers writes that military drones are finding new uses in the civilian world. Bloomberg Business visited behind the scenes at Dubai’s World Drone Prix. At Air and Space magazine, Ed Darack digs for information on the U.S. Air Force’s secret stealth drone, the RQ-170 Sentinel. U.S. defense contractor General Atomics is researching ways of integrating a high-energy laser on Predator and Reaper drones.